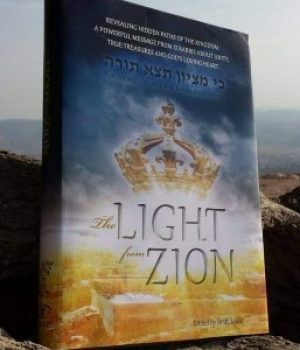 The Light from Zion er en samling av 63 små bibelkommentarer skrevet av 12 anerkjente rabbier i Israel for kristne Israelsvenner og andre ikke-jøder. Boken er på 370 sider, den har smussomslag og er innbundet. Today there are many people among the nations of the world who are drawn to the Jewish people and desire the sweetness of the Torah and its teachings. It has been difficult for non-Jewish people to find such teachings – until now.This groundbreaking book is a collection of essays on the weekly Torah portions and the holidays from twelve leading rabbis of Israel, written specifically to address the interests of a Christian audience. This is the world’s first book of Torah written by Orthodox rabbis especially (but not exclusively) with pro-Israel Christians in mind!